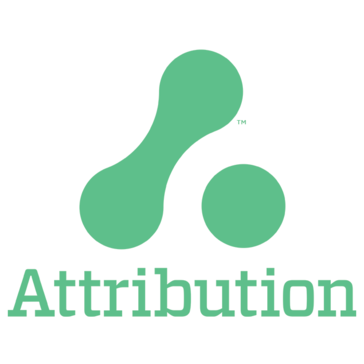 Attribution helps you convert more buyers and maximize ROI. "Awesome tool, great customer support! " Attribution was easy to set up and use. Love their integrations to LinkedIn, Facebook, Google, and others…we now have one unbiased source to track and compare conversion performance of our ad channels. No more frustration with the conversion “math” from the different ad platforms! Also their customer support is awesome. Ryan and his team have consistently gone out of their way take care of our needs. If I have to put something down, my only dislike (and I think they are working on this, but some of it could be out of their control) is that some times we’ve had latency in how fast the app refreshes results. Again, I think there are other causes beyond Attribution, but they’re looking into this. Educate yourself on multi-touch attribution as using a tool like Attribution’s means you’re going to have to change how you measure, compare and spend with competing ad platforms. As a digital business in a super competitive market, we spend a ton on paid media to reach and convert businesses to paying customers. Up until we installed Attribution, we’ve been “optimizing” (though not well) our ad spend by collecting the performance data from all the ad platforms. I would say Attribution has solved two problems. First, we’re saving time and headache trying to piece together all the data from Google, Facebook and others. Attribution does this inside their platform and tells us how all our ad channels are really converting. The biggest benefit is we get more conversions (paying customers!) with the same or less ad spend. "Best Multi-touch Attribution App for the Price"
It was an extremely quick setup that was well documented by their team. Pricing was also transparent and visible on site, didn't have to waste time jumping on a demo call or reaching out before we could trial the app and see if it would be a good fit for us. Not much. Load speeds have improved recently, but theres still some room for performance improvements. We use the app in Australia, which is middle of the night in the US at times when backups typically run. However their team has been great improving this when requested and is very helpful on support. It would be nice if we got email reports as well. Give this product a try! You'll likely save heaps of time and money compared to other legacy solutions on the market. We wanted to accurately attribute revenue to all our marketing channels so we could grow our startup by scaling our spend on the channels that were contributing to conversions and new revenue. We've been able to get a better understanding on the marketing channels that drive conversions and make data driven decisions on spend. "Solved our multi-channel attribution problems"
Gives us really solid multi-channel attribution, and let's us drill down super granularly. Super helpful to be able to segment and drill down by channel (fb, google, search), campaigns + assets, paths, and utms. After we spent a few minutes defining all our channels, we had full-picture of where we spent and made money. It's our source of truth for attribution, and check it almost daily. Easy to setup, took a couple minutes. Support team is incredibly responsive and helpful. Nothing. Product is great, easy to set up, and great support. Email their team if you have any questions. In addition to having a great product, they are some of the smartest people in the world about the technical challenges of attribution. Gives us a much more accurate picture of our marketing mix. Helps us decided which channels/campaigns/adsets to cut and which to spend more money on. Also shows us cohorted LTVs and ROAS per channel. All in one place and easy to set up. Couldn't ask for more. "Attribution does its job perfectly"
If you want to know where your users come from, Attribution is where to look. Perfectly does its job, and easy to set up and tweak to your liking. Sometimes the web app can be a bit slow. Matching events with traffic sources. I mainly look at where our signups and paid conversions come from but really it works for any event. I also use filters a lot to group our sources together. Saved me a lot of time afterwards just sorting through sources. The Adwords integration is terrific, takes 0 time to set up and just does its job perfectly. Once you get going with ads and have the platform set up, it works great. You're able to see a complete history of CPL and can attribute every last dollar to each campaign you're running. If you don't have a ton of data yet, it can take a while to start seeing the benefits of Attribution App. I wouldn't say I "dislike" it - like any platform, the more data you have, the more accurate it is. We're able to show the actual ROI per ad campaign, and see in real time how our CPL plays out. We've looked at a lot of different analytics services and nothing comes close to the ease of use and value of Attributionapp. The flipside of ease of use is a lack of customization, there's a few cuts of the data I'd like to see that I cannot. This is a great straightforward tool that gives a simple dashboard with easy configurability to look at all link-based marketing efforts in one place. The addition of integrations for major advertising partners is an added benefit. Better use of marketing spend and tracking customers across potential acquisition channels. Before this tool we always had concerns about which channels had the most conflict and now we have very easy to see data showing where most of our cross-over occurs. "A great first step attribution product"
"Great out of the box attribution product"
Attribution App is an out of the box solution that immediately reveals rich insights without complicated setup. Far better than what is available in the free analytics tools out there, and essential for a multi-touch considered a purchase like ours. Like any tool, it takes time for data to accrue to start learning. Not a knock on the tool but on the fact that magic does not exist to retrospectively know where my customers have been and how we got them to our site. We are using Attribution to determine where we should be spending marketing dollars and what roles our various channels play. Love that Attribution only does one thing and does it so well. No gimmick. No non-sense. Clear and simple solution to track our attribution metrics. For large data sets, performance / refresh rate is sometimes slower than expected. We have a long multi-touch customer journey for our company, Attribution allows us to have more intelligence in our spend. We spend a lot on facebook and know that view through conversions are a real thing. It's no fault of this app since facebook does not surface this data over their API, but even when using a first click method, the ROI for facebook in particular is usually lower than the reality. "Great way to track revenue from marketing efforts"
The ability to track the efficiency of my marketing campaigns and accurate ROAS. We are now able to see which marketing channels is generating the most revenue and consequently adjust our strategy. There are some bugs but Ryan is always available to help and fix those. Much better value than the traditional enterprise multi-channel attribution solutions. We're solving the multi-channel marketing attribution problem. Attribution helps us better allocate our marketing spend. "Its a good start to baseline attribution modeling!" Ease of setup, good UI and ability to pull data directly from the event pipeline segment. Doesn't seem to mature in terms of pre-built functionality, so they need to stress more on data reliability! It's good to get started. It is definitely better to do more advanced attribution modeling using engineers and Data Scientists! Multi-touch attribution, but mainly email and UTM based. * We monitor all Attribution reviews to prevent fraudulent reviews and keep review quality high. We do not post reviews by company employees or direct competitors. Validated reviews require the user to submit a screenshot of the product containing their user ID, in order to verify a user is an actual user of the product. Hi there! Are you looking to implement a solution like Attribution?